Is work, school, or life stressing you out? You may be taking it out on your teeth through a condition called bruxism. Most people with bruxism are not aware of the condition, and only approximately 5 percent develop symptoms (such as jaw pain and headaches) that require treatment. In many cases, a sleeping partner or parent will notice the bruxism before the person experiencing the problem is even aware of it. The noise resulting from bruxism can be quite loud, although clenching is silent. The symptoms of bruxism vary and can include anxiety, stress, and tension; depression; earache; eating disorders; headache; insomnia; and a sore or painful jaw. Even without symptoms, if left untreated, bruxism eventually shortens and blunts the teeth being affected. 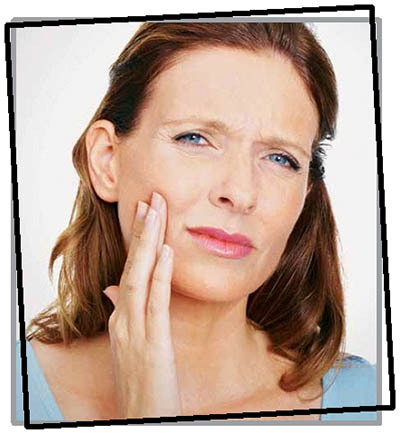 In severe chronic cases, it can lead to arthritis of the temporomandibular joints. The patient often becomes aware of the condition during a routine dental examination. Your dentist will be able to recognize the signs of bruxism during a dental exam and may even suggest further analysis of your bruxism, such as recommending a sleep study. Do you have questions about bruxism? CONTACT Carefree Dentists.